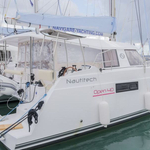 Barramundi II Grimstad is a name of sailing boat Nautitech 40 ,which has been built in 2016. 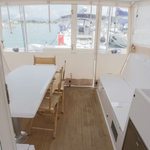 You can rent her from harbor Seget Donji in surrounding area of Split. 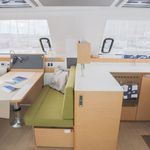 Barramundi II Grimstad is furnished with 10 berths. 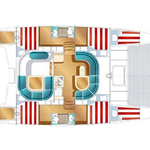 Berths on the sailing boat are arranged in 10 (8+2sc) scheme. 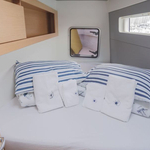 6 bedrooms are placed inside the sailing boat Barramundi II Grimstad. 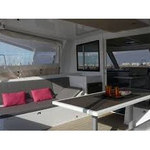 Search for more yachts under this link: Catamarans Split. 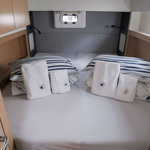 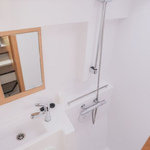 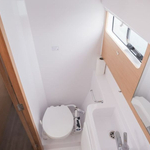 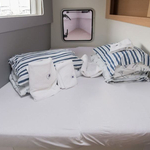 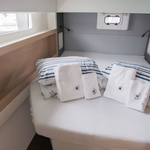 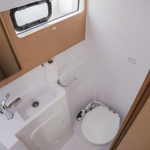 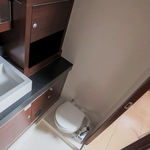 Guests can feel comfy on this vessel , because there are 2 toilettes with showers for their disposal. 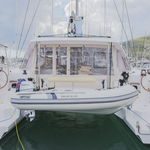 With 450.00 l liters in diesel tank you can sail really far and still be independent because of 450.00 l liters in water tank. 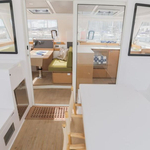 Barramundi II Grimstad is equipped with motor 2x30 hp. 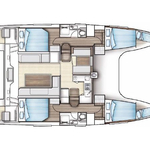 Boat's dimensions are: LOA - 11.99 meters , beam - 6.91 meters and 1.35 m of depth. 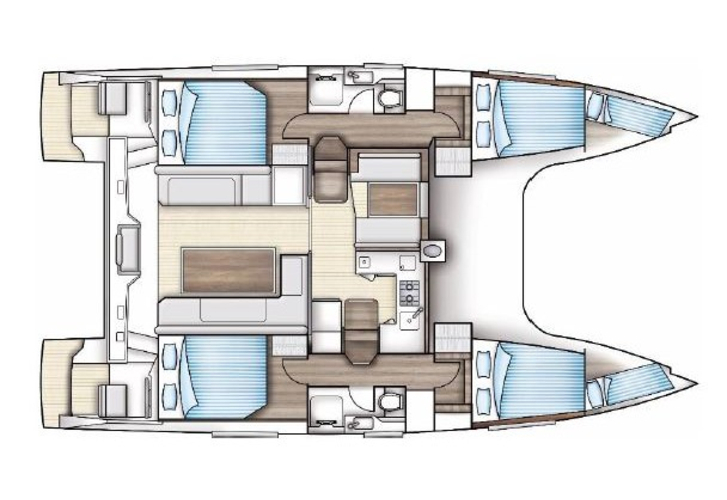 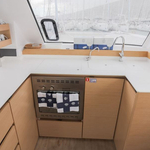 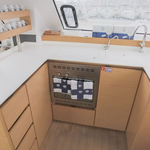 On the vessel you will find following equipment: Teak cockpit, Bimini top, Dinghy, Anchor electric windlass, refrigerator in cockpit, Gps plotter, Autopilot, Gps, 2 refrigerators, Heating, Mainsail with lazy jack, Outboard engine. . Deposit there is 0.00 EUR. 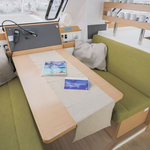 In our search machine you can quickly check avalailability of yacht Barramundi II Grimstad from Seget Donji under the link: Catamarans Croatia.